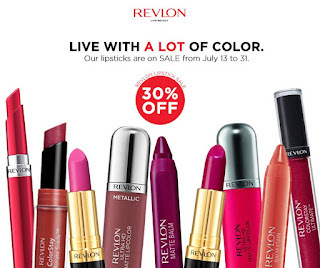 Lippie lovers, rejoice! 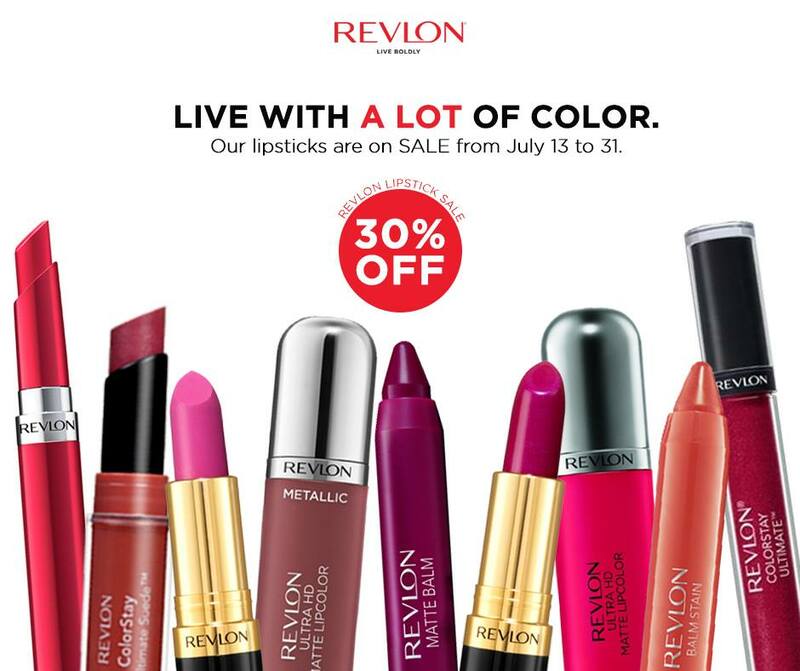 The National Lipstick Sale is back! 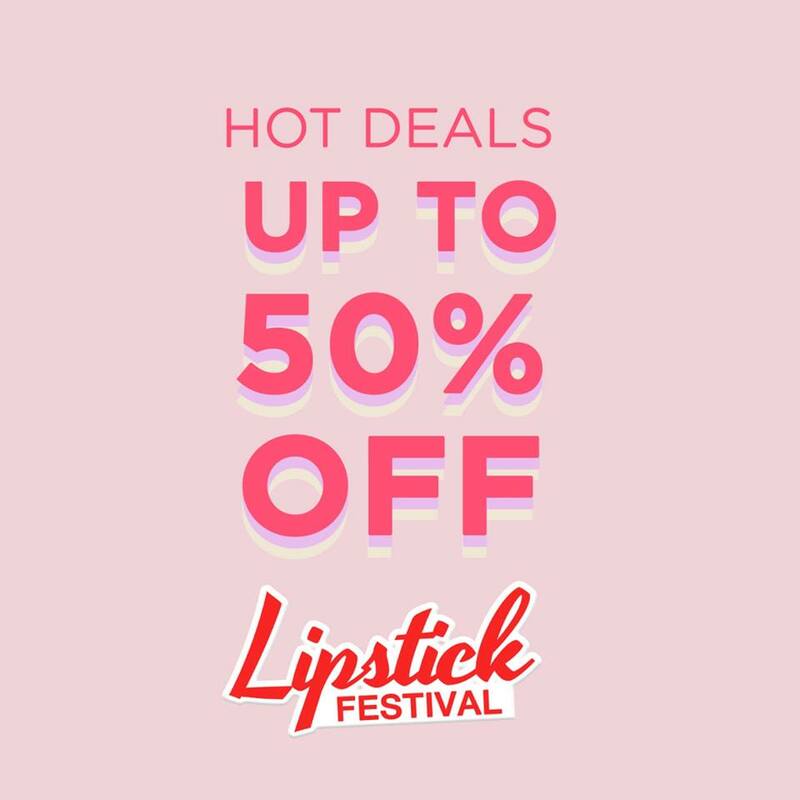 Enjoy discounts and freebies on your favorite lipstick brands from July 27-29, 2018! Visit your nearest Maybelline counter on July 28, 2018 and get your favorite CREAMY MATTES and POWDER MATTES at HALF the price! What’s more, from July 27 to 29, 2018, women everywhere can enjoy P50 off on all 20 shades of Superstay Matte Inks, including the newest Un-Nudes Collection. 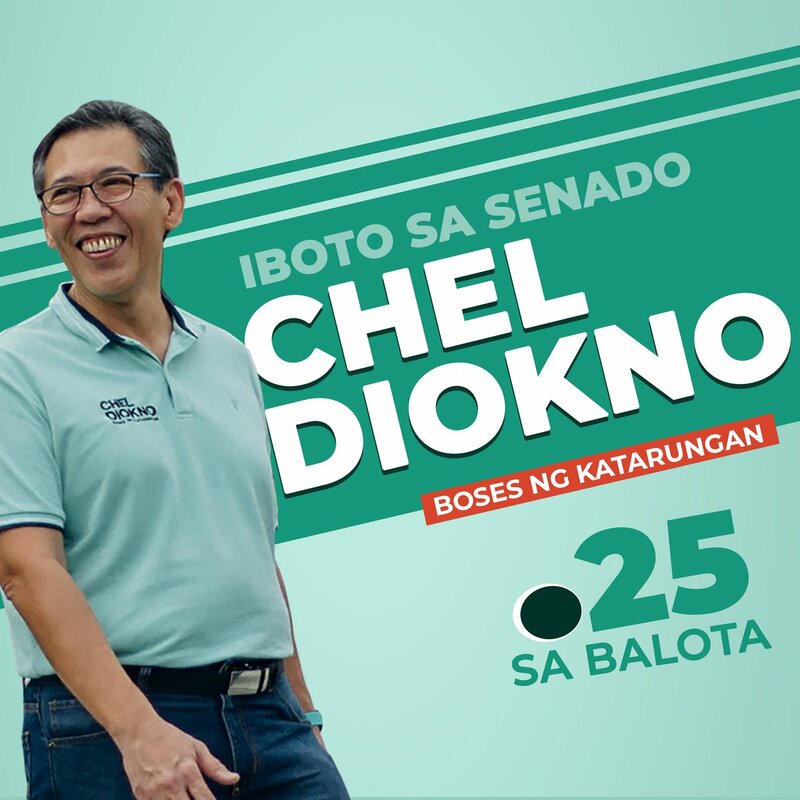 Check complete details HERE. Celebrate #NationalLipstickDay with L'OREAL'S BUY ONE TAKE ONE PROMO on most luxurious mattes! 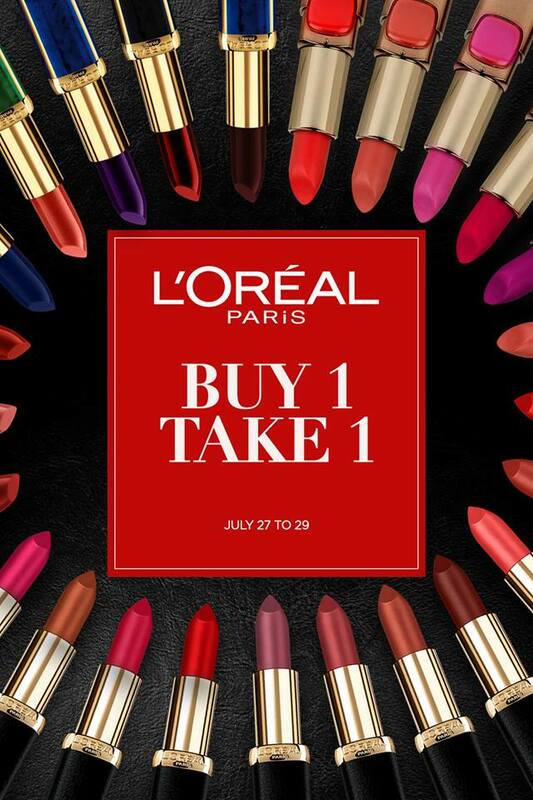 From July 27-29, buy a COLOR RICHE Matte lipstick and get Color Riche Moist Matte, Rouge Magique, Metallic Addiction, or L’Oréal x Balmain lipstick for free—available in L'Oréal Paris counters at Watsons, SM, Landmark, Robinsons and other leading department stores nationwide! Shop for your favorite lippies for less this #NationalLipstickDay with Avon’s Never Before, Never Again, First-Time Offer. 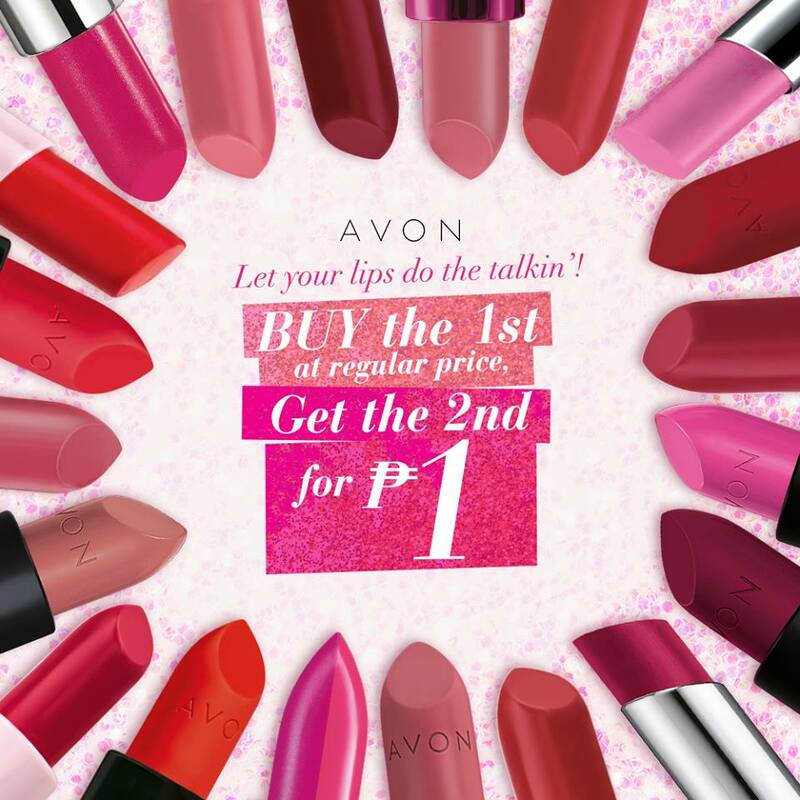 Buy the 1st at regular price, grab the 2nd one for P1 for all lipsticks on avonshop.ph until July 31, 2018! 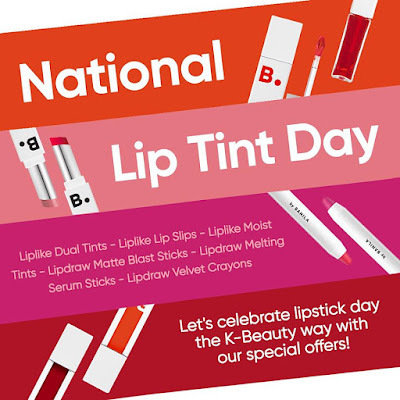 BANILA CO, is celebrating National Lip Tint Day from July 27-29 2018! Get a FREE Mini Clean It Zero when you buy any lip item (except B. Balms) in all Banilla Co. stores and counters. For online shoppers, they're offering 15% on ALL lip products available on banilaco.ph, Zalora, Lazada and Shopee. 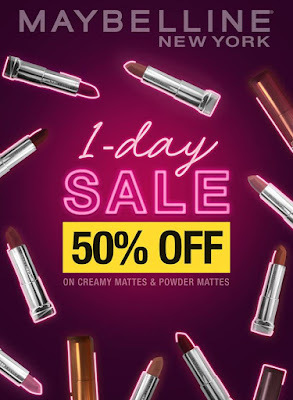 SM Beauty's annual Lipstick Festival is here! 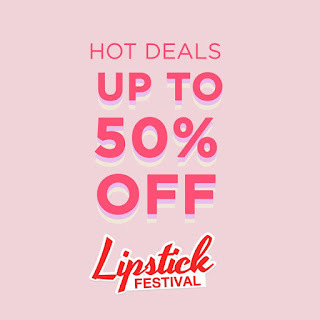 Score UP TO 50% OFF on your favorite lipstick brands this July 28 & 29, 2018. 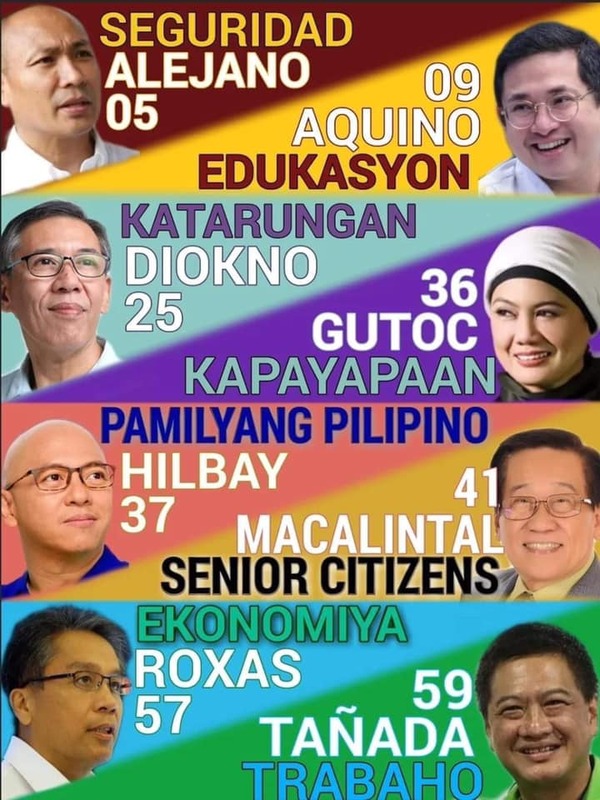 Check it out in all SM Stores nationwide!